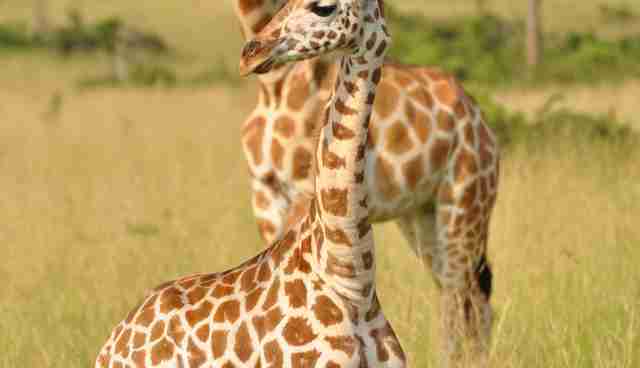 The giraffe is one of the most iconic symbols of Africa. And according to a new research, the giraffe is also, unfortunately, in trouble. Their numbers are plummeting across the continent, and they've disappeared in seven countries already. With more than a whopping 43 percent decline in population since 1998, only 80,000 giraffes "patchily" roam 21 African nations, notes the report. According to Stephanie Fennessy, program director with the Giraffe Conservation Foundation (GCF) - which is based in Namibia but has conservation projects across Africa - habitat loss, human-wildlife conflict and poaching are slashing giraffe numbers. And in some countries, like the Democratic Republic of Congo, the giraffe is on the verge of local extinction, with just 30 to 40 of them left in the country, she says. "The perception is that giraffe numbers are huge. And that they are everywhere. And there's no need to protect them," Fennessy told The Dodo. But this perception is turning into a problem, and now, time is of the essence to pay attention to their plight. In an ironic twist, however, while giraffes are struggling for their long-term survival, scientists' understanding of the emotional complexity of the animal is growing - and they're even debunking outdated myths as they go along. But Muller has discovered otherwise. As part of her research, documented in the GCF newsletter here, Muller closely followed a female giraffe she identified as "F008." In spring 2010, F008 gave birth to a calf; the young animal suffered from a "deformed" leg and, at 1 month old, had great trouble walking and spent most of her time in a stationary position. But no matter, F008 stayed right by the calf's side. "[S]he could always be found next to her calf, standing with it and being vigilant to the surrounding area," Muller wrote in her observations. In fact, although giraffes sometimes synchronize behavior in a herd - such as foraging - in the case of F008, "she would always be standing with her calf." Then, sadly, one morning, the calf died, presumably of natural causes. And Muller found 17 female giraffes - including F008 - in the area where the calf perished, "all highly vigilant and running around in apparently bizarre patterns." Muller continued her observations, and later that day, Muller counted 23 female giraffes in the same area near the infant's body. "This time I observed the adult females [including F008] approaching the carcass and 'nudging' it with their muzzles, then lifting their heads to look around before bending down to nudge it again," she said. (You can watch a video of the giraffes response to the dead calf here). By nightfall, 15 adult females all clustered around the carcass, staying even closer to the body than during the daytime, and female giraffes continued to surround the carcass throughout the entire next day. On the third day after the calf's death, Muller wrote that she noticed F008 finally moved: "[S]he seemed to have left the carcass for the first time since it had died and she had moved to stand under a large tree approximately 50 meters away from it." She discovered that the calf's carcass had been half eaten by predators and subsequently dragged under that large tree - the exact location where the mother was standing. Muller says she doesn't want to codify the behavior as "mourning," but wrote in her report that it certainly echoes another mammal famous for grieving his family and friends: the elephant. "It is well documented that elephants show great interest in the carcasses and bones of other dead elephants and herd members, often viewed as evidence of their empathic nature and ability to 'mourn' their dead," she says. "Giraffe are highly social creatures," she continues in the report, "but we are only just beginning to understand the complexities of their social systems and family networks. This incident [F008] provides us a unique insight into one aspect of giraffe behavior that we are rarely afforded a glance of - that of family ties and effects of the loss of a herd member." In 2011, a remarkable video emerged of a mother giraffe attacking a pride of lions shortly after they take her calf. "It shows the risk that female giraffes will put themselves under to protect their offspring," comments Muller, who calls the footage "incredible." "It was obvious that giraffe had returned to the site again days after its death." 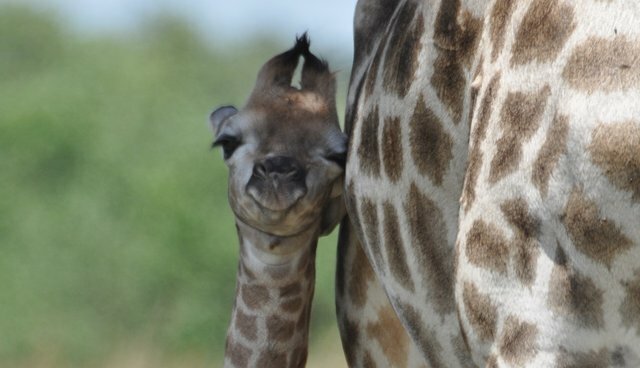 The bottom line, says Fennessy, is: "[W]e know very little about giraffe family bonds. This might, she says, "just be the tip of the iceberg." CORRECTION: A previous version of this article said there were only 670 Rothschild's giraffes remaining in the wild. However, more recent data suggests there are fewer than 1,100.